At home, she served as Principal Deputy Director for Asia Europe Partnership Division (2003-2005), Negotiator for Economic Partnership Agreement (2005-2007), Principal Deputy Director for Human Rights and Humanitarian Affairs Division concurrently Transnational Crimes Division (2007- 2009), Director of Development Assistance Policy Planning Division (2009-2010), Assistant Press Secretary and Director of International Press Division (2014-2016), and Assistant Chief of Protocol of MOFA as well as Master of the Ceremonies at Imperial Household Agency (2016-2017). 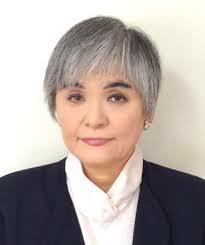 She graduated from Sophia University in Tokyo in 1985 (B.L. in international legal studies) and received M.A. in international affairs from Norman Patterson School of International Affairs, Carleton University, Canada, in 1988. Her hobbies include playing the traditional Japanese musical instruments (Japanese harp (Koto) and Banjo (Shamisen)), collecting antiques, playing golf, scuba diving, travelling and enjoying good food. She won the Canadian National Kendo Championship in 1987. Ms. Ito’s husband, Claude, was born in Ottawa. They have two children.